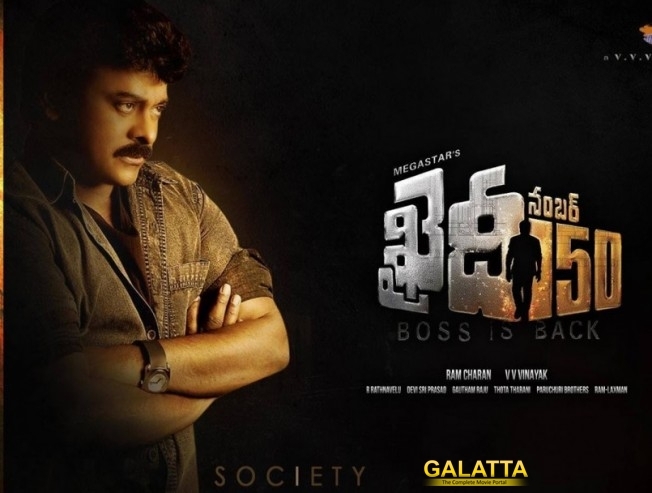 Telugu film fraternity and Mega fans are eagerly waiting for Megastar Chiranjeevi’s 150th film Khaidi No 150. The film completed its censorship formalities. Censor board has awarded U/A certificate to the film. Sources say that the film runtime is zeroed on to 2 hours 27 minutes. It has been reported earlier that the film’s pre release business has touched 100 crores already. Kajal Aggarwal is cast opposite Chiru in this much awaited entertainer. Mega Powerstar Ram Charan Tej is producing his father’s 150th project under the banner Konidela Productions. The much awaited film’s release is expected on the occasion of Sankranti in 2017.